Exciting news for those waiting for BlackBerry 10. The latest rumor is that RIM will not only introduce the new OS on January 30th, but will also unveil both the all-touch BlackBerry Z10 and the BlackBerry X10 with a physical QWERTY keyboard. And the kicker is that both models will sell for less than $199 on contract. 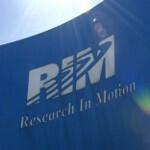 It really looks like RIM is going to be making a statement a week from Wednesday. Additionally, the video that we showed you on Sunday comparing the BlackBerry Z10 with the Apple iPhone 5 revealed that a Siri-esque voice activated personal assistant will be included with the OS. There is also some speculation that BlackBerry App World will offer movies and television shows and screenshots of the home screen show that Facebook, Twitter, LinkedIn and Foursquare are pre-installed on the new BlackBerry devices. Evernote will be available in the Docs to Go app which will allow users to open, edit and save documents to the cloud. We have some new screenshots for you to look at as we are getting closer to January 30th and the beginning of what appears to be the comeback of BlackBerry. 5th slide looks so iOS to me. like the BBZ10 go blackberry show them what u got !!! Looks pretty clean. I like it. This is like the neatest UI I've ever seen... Looks epic, can't wait. BB 10 is looking really good, but I do have a couple concerns. I realize this will not be popular to BB fans, but I am a BB fan myself so... 1. It has it's own distinct look, but it is still similar to iOS in terms of being an app launcher at its core. Yes, the BB flow and other features do add much more functionality, but I wonder if there is a way to hide all those apps. 2. BIS outages! I wonder what steps have been taken to prevent the outages that had at one time become synonymous with using BlackBerry. Other then that, looks really good! Indeed it looks good. Only if mailing service wasn't locked down to through RIM network and i was able to synnc all mail and PIM folders (without going through BES + Exchange crap) like i am able to do on Android/iOS/ i would have bought this. UI looks decent, but bland. Nothing eye popping about it. BB has always found a different way to fail , wether it be BB Apps or BBM issues or just connectivity issues. I don't feel the hype, and with so many people knee deep with Android or iOS, I dont see them making a dent into the masses. Windows tried and failed at this as well. Don't worry windows phone is gaining more and more traction people are starting to realise after all this time google still fail to make a smooth lag free os even with all those powerful phones pretty poor show. Great timing for RIM to introduce something fresh in the market and hopefully re-establish themselves in the market as well. There still are a lot of people who are fond of BB OS, so they certainly can take on Windows OS. This doesnt look bad at all, in fact quite the opposite. Looks much better than what it seemed at the first sight when RIM showcased some features. a greater variety in platforms is welcome. I hope this works out for RIM.